A recent study of TriMet’s fare enforcement indicates that TriMet is not racially biased when citing those who didn’t pay fare. But the way the data was collected for the study may mean the analysis is incomplete. 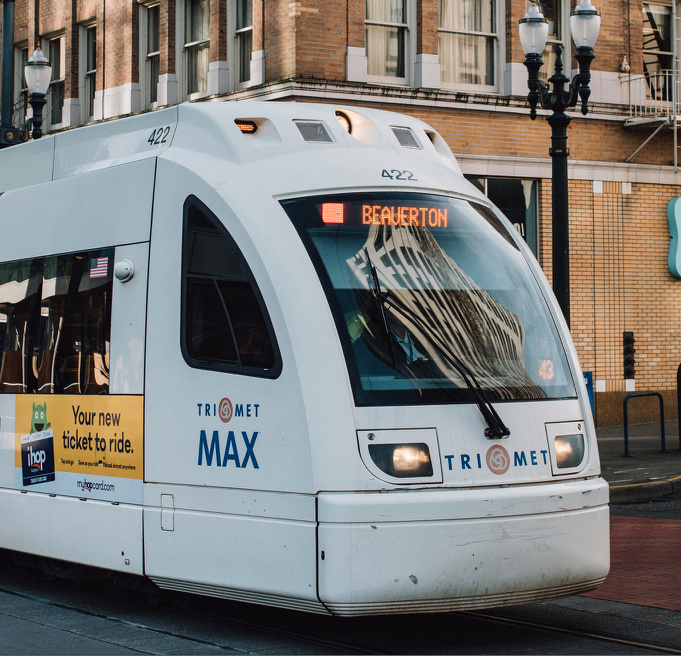 The study, conducted by Portland State University (PSU) criminal justice professor Brian Renauer, specifically analyzes fare evasion citations issued by TriMet on the MAX between March 2016 to March 2018. Over that period of time, 18 percent of fare evasion citations on the MAX were issued to Black riders. This is similar to the results of a 2016-2018 TriMet rider survey conducted on MAX trains that found 17.8 percent of fare-evaders were Black. Because those numbers are so close, PSU’s study concludes that TriMet does not have a racial bias problem with fare-related punishment. But TriMet’s data collection process has some holes. First, most citations were given at just a few specific MAX stations: over 50 percent of all fare enforcement occurs at just 10 stations in the whole system, which could affect the accuracy of the data. The focus on just a few MAX stations might also make it way easier to skip fare in most other parts of town. Additionally, TriMet employees were the ones responsible for determining and recording a fare-evaders race, meaning the racial data could be inaccurate. The data also includes 2,000 riders (out of 48,000 total) whose race was marked “unknown,” simply because an inspector didn’t know a person’s race—Renauer says those incidents aren’t useful for study, and adds that the problem is one of inspector training. The study on fare evasion and racial disparity, released Wednesday at a TriMet board meeting, also showed that Black riders have a disproportionate rate of “exclusions” — a punishment reserved for people who repeatedly break TriMet rules or skip paying fares. Excluded riders are banned from using any TriMet service for between 30 and 90 days. Black riders accounted for 22.1 percent of exclusions over the past two years—about 4.3 percent higher than would be expected, considering that they only account for 17.8 percent of fare evaders. But Renauer says that disparity is explained by the small number of people with repeat violations. According to Renauer, there are about 56 Black chronic fare evaders who account for 26 percent of all Black exclusions. “If those repeat exclusions had only been excluded once, it would reduce the overall exclusion rate by 4 percent,” Renauer told the TriMet board at the Wednesday meeting. Those 56 repeat violators aren’t the only constant reoffenders—each racial category had a significant number of people who got caught avoiding paying fare frequently. But the data shows that the repeat offenders among Black riders seem to skip paying fares on a more regular basis, which bloats the statistics for the overall category. Members of the TriMet board showed some concern about the problem of chronic fare-skipping. The MAX already has a growing problem with fare evasion—about 14.7 percent of riders failed to pay fare in a 2018 study, up 3.1 percent from 2016. It could be because TriMet has an “open” ticketing system (ie: no ticket-scanning turnstyles to pass through before boarding a train), where riders are only occasionally asked for their tickets by random fare inspectors while en route. But other cities with this “honor system” approach don’t have the same problem, like Berlin, which considers 5 percent to be a high rate of fare evasion. (Maybe that just means Berliners are more decent humans beings than Portlanders). TriMet staffer Erik Van Hagen pointed out that TriMet’s new low-income fare program (dubbed the “honored citizen” program) could cut down on fare evasions, since it cuts the cost of daily rides in half, and offers $28 monthly passes. Fare citations now come with information about the honored citizen program—you can either pay the fine, or enroll in the low-cost program if you’re eligible.